A panel of state senators will convene on Thursday to respond to Gov. Rick Perry’s call to add legislation related to abortion procedures, providers and facilities to the special session. On the Health and Human Services Committee’s afternoon agenda: an omnibus abortion regulation bill by Sen. Glenn Hegar, R-Katy, that blends four bills that failed to reach either chamber during the regular session. 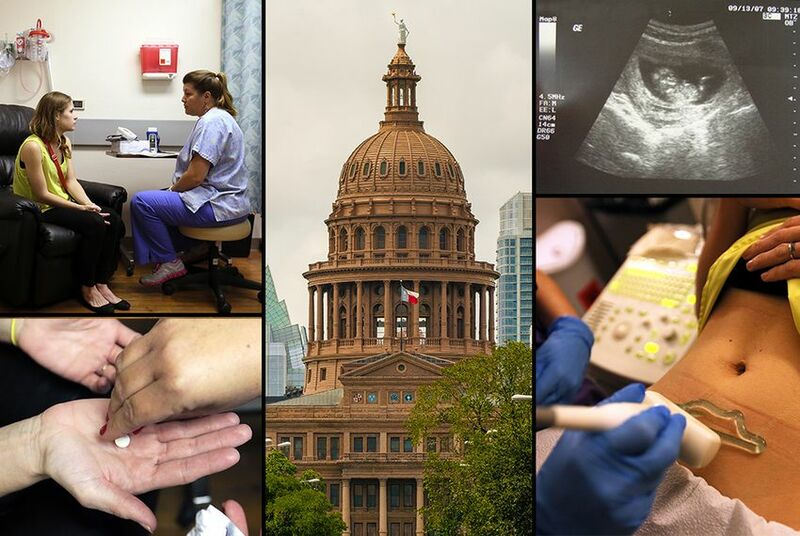 The so-called preborn pain measure that would ban abortions after 20 weeks of gestation, which Hegar and Laubenberg have filed separately as SB 13 and HB 16. The abortion facilities measure requiring the procedure to be performed in ambulatory surgical centers, which Sen. Bob Deuell, R-Greenville, has filed as SB 24 in the special session. A measure requiring doctors who perform abortions to have admitting privileges at a hospital within 30 miles of the abortion facility, which Sen. Larry Taylor, R-Friendswood, filed in the regular session. A measure requiring doctors to administer an abortion inducing drug, RU-486, in person, and comply with the regimen outlined by the Food and Drug Administration. Sen. Dan Patrick, R-Houston, has filed the bill as SB 18 in the special session. While abortion opponents argue these regulations would improve women’s safety, medical trade associations and advocates for reproductive rights argue they would restrict access to safe, legal abortion and ultimately endanger women seeking the procedure. Only six of the existing 47 abortion facilities in Texas meet the regulatory standards set by Deuell’s SB 24. Deuell, a family physician, said Hegar did not consult him on the decision to include the proposed regulations on abortion facilities in SB 5. “We sort of have a tradition in the Senate that you don’t steal other people’s legislation,” he said. He also expressed concern about the other policies included in the omnibus abortion legislation. Hegar could not be reached for comment. During the regular session, Deuell said, he had the support of 20 senators for his abortion facilities bill, but it would have required the support of 21 to bring it up for a vote. Lt. Gov. David Dewhurst has said he will not adhere to the so-called two-thirds rule — which would make it easier to navigate around Democratic opposition — during the special session. "Texas is already one of America's strongest pro-life states, but we can do more to protect the preborn,” Dewhurst said in a statement. Ahead of Perry's decision to call a special session, Dewhurst asked him to put abortion legislation on the call.